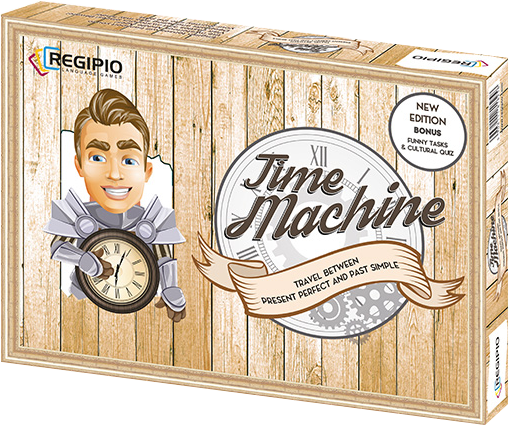 Jste zde: Úvodní stránka > Obchod > Hry a doplňky > Grammar Games > Time Machine: Travel between Present Perfect or Past Simple? Time Machine: Travel between Present Perfect or Past Simple? Have worked or worked? Which tense to use? Which is better to express what you really mean? This game provides an excellent solution to your doubts. It shows the difference between these two tenses. Keywords help you see the differences, understand and practise the correct choice and use of the present perfect and the past simple. Items: 1 board, 60 cards with verbs, 50 challenge cards, 1 dice, 4 counters, instructions.